Optical disc industry is one of the successful businesses in the world, and huge amounts of discs and drives have been spread all over the world. More than a billion discs are produced and distributed every year. Since the ?rst optical discs - Laser Discs and Compact Discs (CD) - were shipped in the early 1980s, they have rapidly dominated the world music market, and DVDs will replace the video-tape market in the near future. 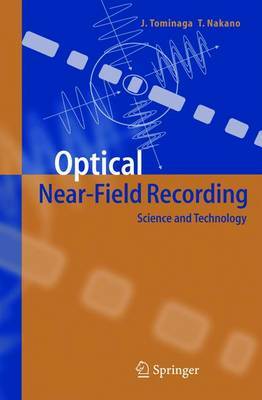 The optical disc and drive technologies consist of the most advanced and integrated systems with regard to optics, physics, chemistry, mathematics, electronics, mechanics and related subjects; a huge number of scientists and engineers have engaged in the research and development of the systems. One of the key factors of the development of the optical disc systems, of course, results in the availability of cheap, stable, and reliable semiconductor laser units. Now, you can store data up to 4. 7GB on a single side of the 12-cm DVD, and in the near future, blue laser technology will allow storage of more than 20GB on the same size disc. We should not however forget the other core technologies such as focusing the beam on the surface of a spinning disc precisely, and encoding and decoding digital data. The data capacity of optical discs has increased from 0. 65GB to 25GB by the year 2003, and we certainly believe it will continue to increase with new technologies.